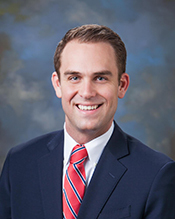 Jonathan B. Osler is an Attorney at Carrell Blanton Ferris & Associates, PLC. He counsels individuals and families on matters regarding the preservation, management and transfer of wealth. Jon’s practice involves all aspects of the estate planning process, including the designing, preparation, and administration of trusts, wills, and related ancillary documents. In his practice, Jon works closely with clients to identify their unique personal and financial goals, along the way building personal relationships based on trust, mutual respect, and openness. Jon’s hands-on approach to constructing personalized estate planning solutions ensures that each plan is tailor-made to suit the requirements of the client. That said, no matter the size of an estate or the complexity of the planning involved, Jon’s principal concern is that his clients are perfectly satisfied with their estate plans—and that they have gained true peace of mind as a result.